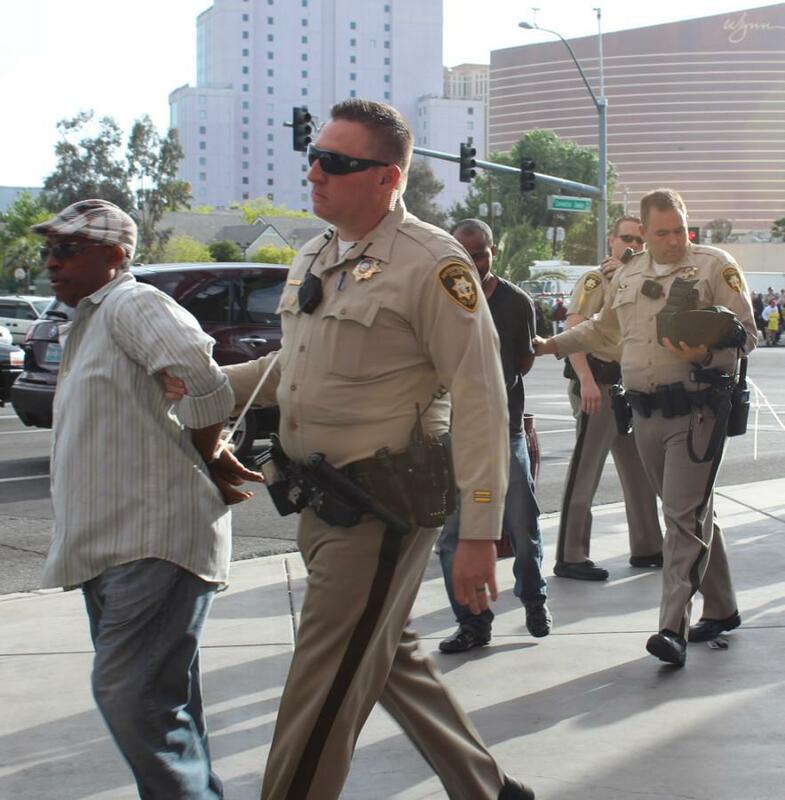 Streets were impassable around Las Vegas Convention Center Tuesday, as taxi cab drivers continued their six week protest. 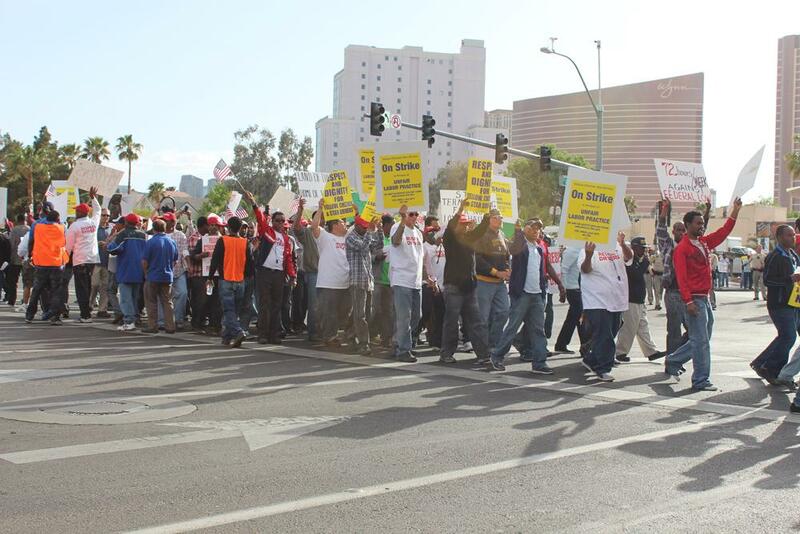 Las Vegas police officers blocked off street and foot traffic for over three hours, as workers of Yellow, Checker, and Star taxi companies chanted “We need justice” for unfair labor practices. Taxi driver Johnny Abegaz explained that “Nobody gives us an ear…” No further comments could be gathered because of the volume of protestors’ exclamations and whistles. These taxi drivers are members of the United Steel Worker Union, and protested that USW signed their contract without drivers’ vote. 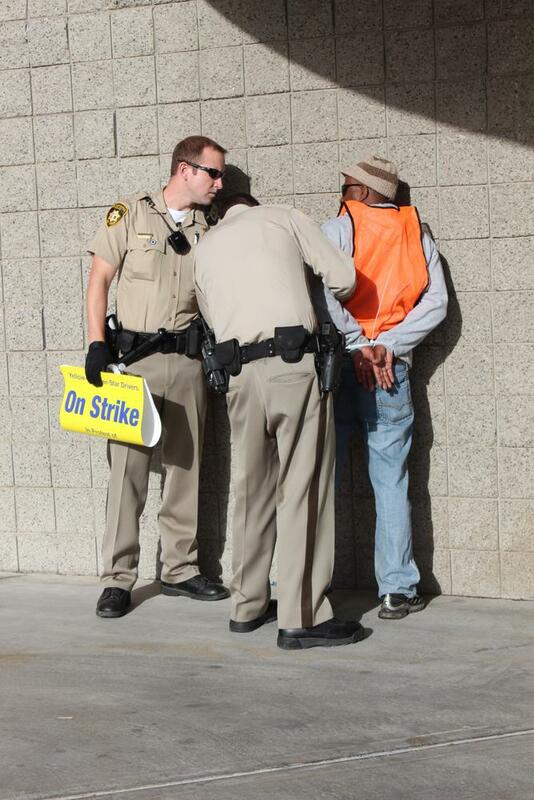 LVPD arrested protestors who continued to be outisde of the yellow line painted on the sidewalk. Protestors who remained in the street once traffic was allowed to continue were arrested as well. Fun Fact: I play the string bass.